Introducing Ayah Marar, the “Queen Of Bass.” Ayah Marar’s debut acclaimed album “The Real” will be released on Radikal Records this summer. Radikal Records is proud to announce the signing of one of the hardest working artists in the dance music genre, Ayah Marar. Well known amongst the electronic music community in the UK, Ayah’s dedication to her music has earned her the rightful title of “The Queen Of Bass.” Her debut album, “The Real” has been attracting wide spread attention and critical acclaim with a recent Vibe Magazine interview, Music Week featuring her song “Alive” as Track Of The Week, and Ayah winning Best Female Artist in the 2013 Drum And Bass Awards. “The Real” will be released by Radikal Records in North America in early summer this year. Dance music is a broad church, but within each parish there’s usually a set of rules. A doesn’t always go with B, and X shouldn’t really mix with Y, but sometimes those rules are meant to be broken or manipulated into odd new shapes. 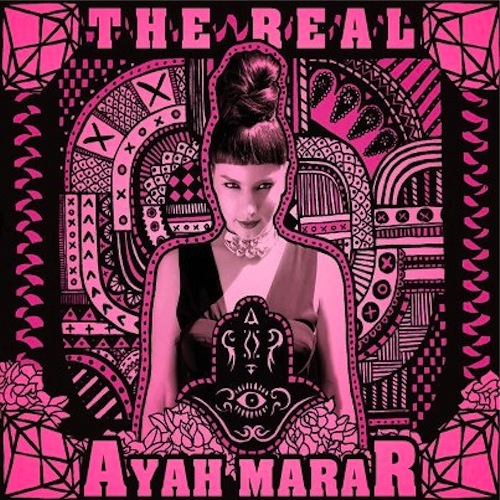 Ayah Marar’s kaleidoscopic debut album, “The Real,” is a case in point: thirteen songs that take inspiration from the underground dance scene, cherry-picking the very best elements of drum and bass, techno and house and bolting them onto well-crafted pop hooks that look set to shatter dance floors. “It’s an homage to dance music in whatever form, whether it’s garage or two step or house or drum and bass,” she explains.